Kelly came to WPI uncertain about how to differentiate among all the choices. But she found her way, within the school’s unique culture, to her passion. It’s not unlike what she does today as lead cartilage tissue engineer at biotech innovator EpiBone—growing stem cells in a special culture, from undifferentiated state to bone and cartilage, and finding their function as individualized replacement parts for the human body. Kelly was born in Kingston, Jamaica, and spent the first 11 years of her life on a small farm in St. Catherine, an area now part of the city of Portmore, on the island’s southern coast. It was a hardscrabble life amid the sugarcane fields, with no running water, electricity, or indoor plumbing. She moved to Springfield, Mass., in 5th grade; in high school she concentrated on honors courses in math and science, and developed a love for biology and physics. This led to her participating in Science Olympiad, and eventually to WPI, where she earned her BS in biology. Her academic strengths notwithstanding, the move from secondary education to college took some adjustment. As a woman and a minority, she participated in the inaugural cohort of the Excellence in Mathematics Science and Engineering Program (EMSEP), designed to help underrepresented students transition into the overall WPI community. "I have most definitely had to overcome barriers and challenges that have come my way simply be- cause of my race and/or gender, especially in the notoriously slow-to-change realms of science and academia. I faced these obstacles long before the current cultural awareness that has been brought about by movements like #MeToo and Black Lives Matter. I’ve found that oftentimes the best solution is to find a place where you can be accepted for who you are, and if that’s not immediately possible, to be the best version of yourself you can be, and let your skill and talent speak for themselves." Kelly is a leader now. 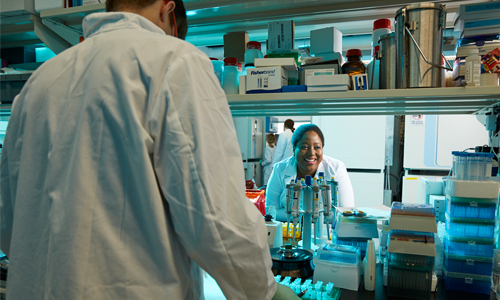 When she was first hired at Brooklyn, N.Y.– based EpiBone, she and her research technician did most of the cartilage research and product development themselves. Now, as lead engineer, she oversees research and development of the company’s cartilage tissue products. Being at a start-up means that role continues to be fluid, and she wears many hats. A typical day includes mentoring direct reports, meeting with members of other research teams to resolve cross-functional issues, and working with the chief scientific officer and assistant director of research to plan out upcoming projects and milestones. She also manages cartilage project workflow, negotiates with vendors and suppliers, interacts with thought leaders, presents research plans and results, and writes grants, regulatory documents, protocols, and reports. Kelly, who earned her PhD in biomedical engineering at Columbia University, was a visiting research scientist at Queen Mary University of London and has co-taught a module on cartilage tissue engineering at the MIT Media Lab. She relishes that mix of scientific pursuit and business engagement. Toss in a strong dose of humanity and you get a clear picture of the kind of person the stem that sprouted on a Jamaican farm has matured and grown into. “Ultimately, like everyone else at EpiBone, I hope to at least play a small part in something that might eventually have a meaningful and lasting impact on the lives of those who might one day use our products,” Kelly says. She and her colleagues at EpiBone are part of a wave of personalization cresting over the healthcare industry. She explains that as we move away from the assembly line–era way of thinking, a consensus has emerged, especially in medicine, that “one size fits all” is a fallacy. The human body is a hardy warrior, but sometimes traumatic injury, genetic defects, or illness can create conditions that exceed its natural capacity to repair bone. “EpiBone’s mission is to use groundbreaking research to transform skeletal repair,” Kelly says.